Painting by R&F Paint Corp.
R&F Paint Corp. has been in the painting business since 1954. Our business is making your New York or Connecticut property look great inside and out. For all of your interior and exterior painting needs, call R&F Paint Corp. for professional results and quality service. A fresh coat of paint can give any room a whole new look. Make a statement with a bold color. Update your color scheme to an earthy palette or the trendy look of the new neutrals. 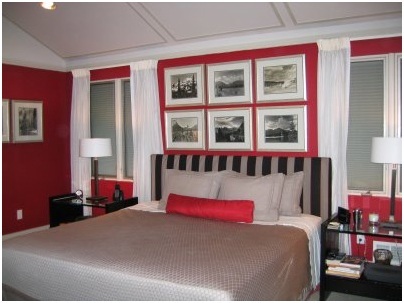 R&F Paint Corp. can help you choose a color scheme and palette that provides just the right accent for your room. Our computerized color matching system ensures that you get exactly the color you want. We exclusively use premium primer and paint to give you maximum coverage that will look great for years. Go ahead. Color your world. Call (914) 709-7609 for a free estimate for your next painting project. Our professional painting staff fixes all surface imperfections prior to painting to ensure that your paint application is smooth as silk. R&F Paint Corp. has been painting residential and commercial properties for 65 years. Improve your home's curb appeal with a quality exterior paint job by R&F Paint Corp.. Express yourself with an interior paint color that makes your room pop. We guarantee you'll be happy with our professional service and quality work. Our reputation depends on making our customers happy. Call R&F Paint Corp. to discuss your painting needs: (914) 709-7609.